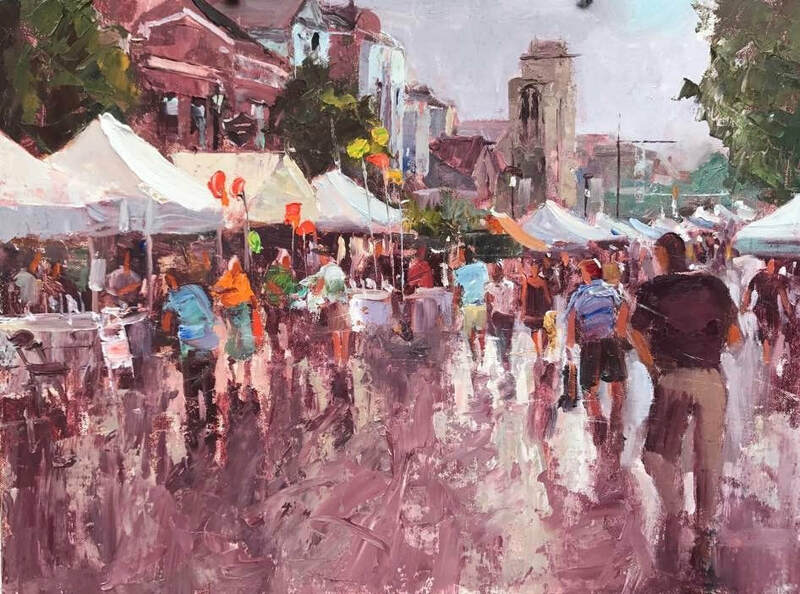 Michele Byrne's "Art on the Avenue 2017" was painted as a demo during the event, and is one of the pieces on display at Chef Alan's. Congratulations to the artists, volunteers and patrons who made the event a resounding success! 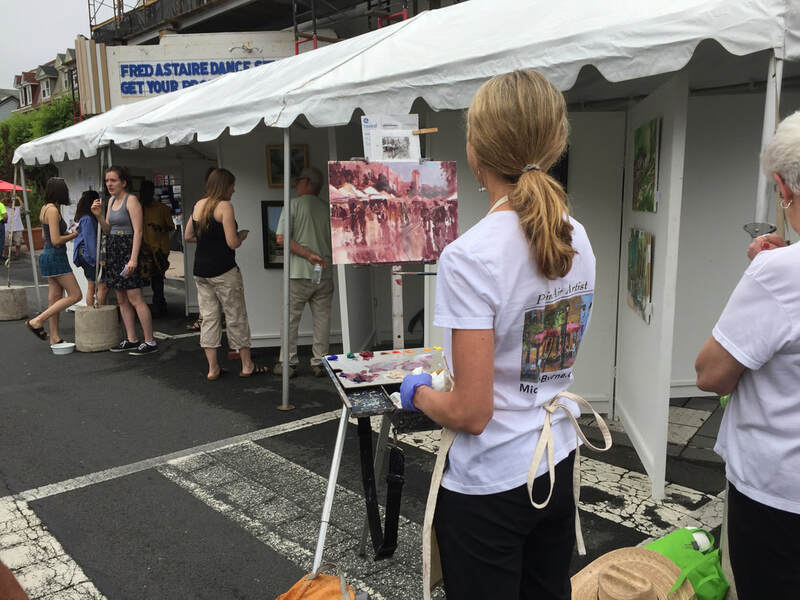 Hundreds of visitors streamed through the Plein Air West Reading tent at Penn & Sixth Avenues. The rains held off, the compliments flowed, sales were brisk, and a rewarding day was enjoyed by all. Much of the art from the exhibit is on display through August at Chef Alan's American Bistro.